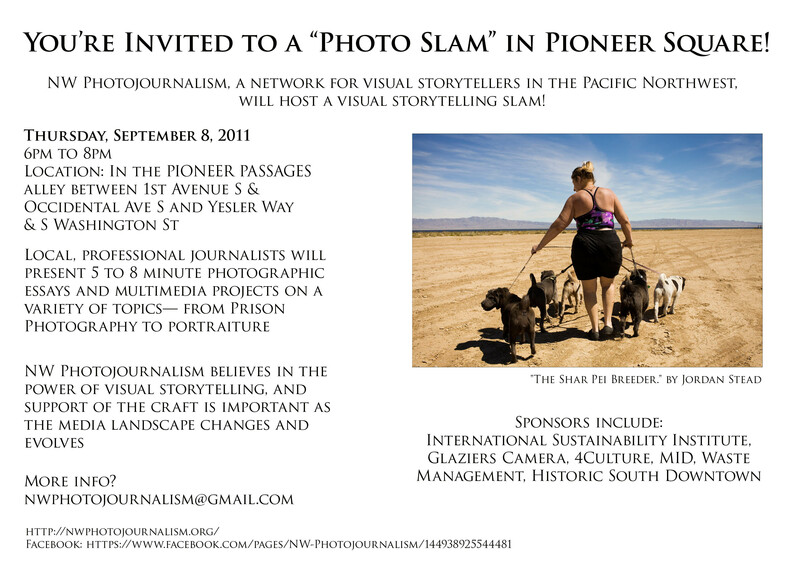 For any of you in Seattle this Thursday, September 8th, I’ll be speaking at the “Photo Slam” event in the PIONEER PASSAGES alley between 1st Avenue S & Occidental Ave S and Yesler Way & S Washington St.
I’ll be talking about a handful of prison photographers, my motives for focusing on U.S. prisons and asking the audience to think about the images they don’t see. Others presenters are John Keatley, Mike Kane, Alan Berner, Danny Gawlowski, Jordan Stead, Genevieve Alvarez, Joshua Trujillo and Chantal Anderson. The event runs from 6pm to 8pm.